When I think of winter collections, I always tend to imagine smokey eyes, sparkly golds and rich brown shades. It's the traditionalist in moi! But Avon has knocked me upside the head with their Arctic Goddess collection in brochures next month. We're taking frosty shades, a couple of matte stunners, some soft muted beauties, something for everyone. Packaging is bright and colourful, incorporating some of the shades in the two palettes that are part of the collection. 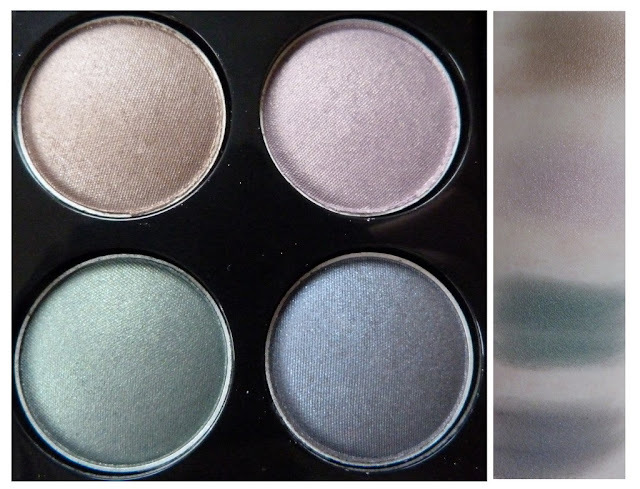 First up is the Arctic Goddess palette. As soon as I opened it, my eyes went straight to that insanely gorgeous vivid blue eyeshadow. I mean look at it. Of course I couldn't just delve in. No, I had to make sure to photograph it properly and then I got busy! There's a frosty lilac shade that's the least pigmented of the four. My first thought is that it's a bit out of place in this palette as the other three shades seem to look nicer together. What do you think? There's a light frosty green shade, that amazing blue colour that is suuuuuuperbly pigmented and a dark matte forest green that will make a very nice smokey eye altogether on moi. The second palette in the collection is called Muse. This has softer, more muted shades and is a nice departure from a regular neutral palette. There's a light shimmery taupe shade, a pale pink shade that is the least pigmented out of the four, a deep green and a gorgeous navy/purple shade that's my favourite of the four. Now that I've swatched them, I can actually start wearing them, so stay tuned for some easy peasy tutorials! The eyeshadow quads from the Arctic Goddess collection will be €11 each but keep an eye out for introductory offers. Do either of these tickle your pickle? 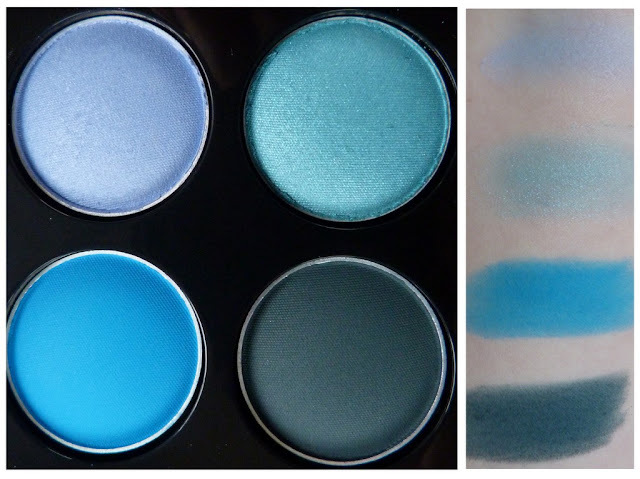 I can't wait to get that vivid blue on my eyes! I am a huge sucker for vibrant blues. That first palette is gorgeous! Spotlight on Hourglass cosmetics - photo heavy! Win! 50 NYC Demon Glow top coats up for grabs!